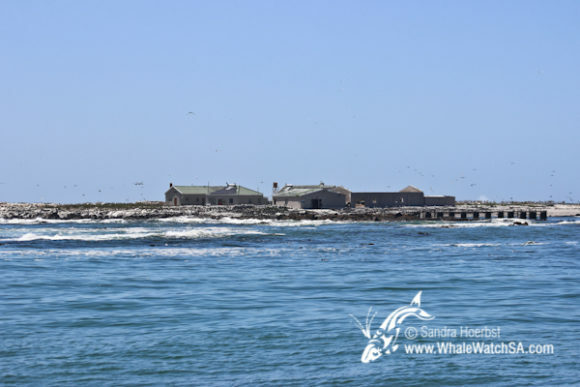 The bay was full of marine life again. 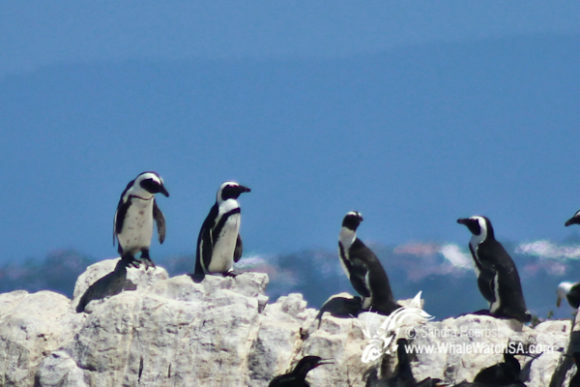 We spotted some African penguins swimming in the water and some more sitting on Dyer Island. 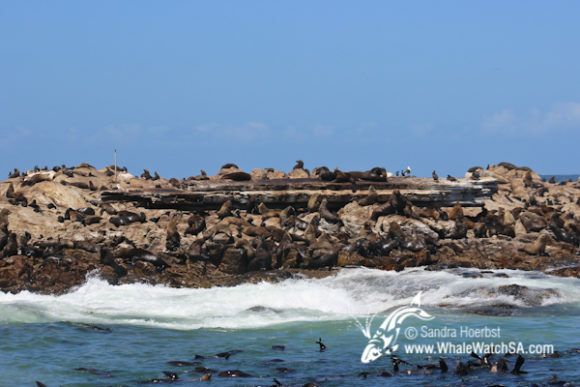 A lot of the Cape Fur seal on Geyser Rock were having a swim in the water too. 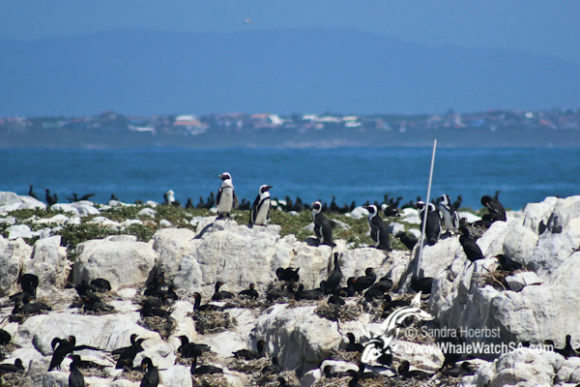 Around the Dyer Island Nature Reserve we spotted a lot of feeding Giant petrels. 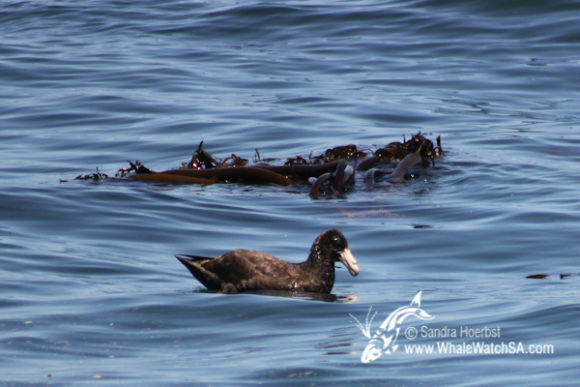 Always a great treat to see these huge pelagic birds in our area. 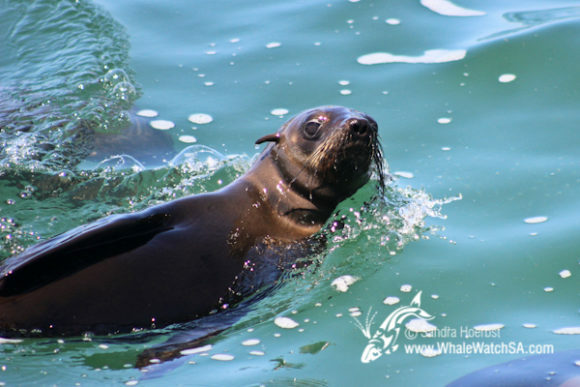 On our way out of the world famous Shark Alley, our wildlife spotter spotted a blow. 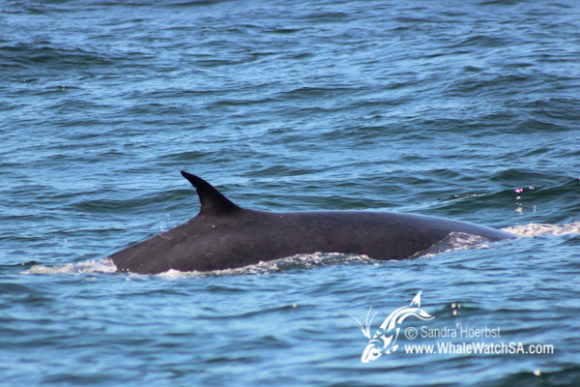 We approached the area were we saw the spout accordingly and were lucky to encounter a Bryde’s whale. The whale surfaced a few times before disappearing in deep water. On our way back we stopped at Marine Dynamics, our sister company, who offer the Great White shark cage diving.